New NLRB Charges against Local 23 (Tacoma) and Local 19 (Seattle) who are working together, but NOT like the NW Seaport Alliance. 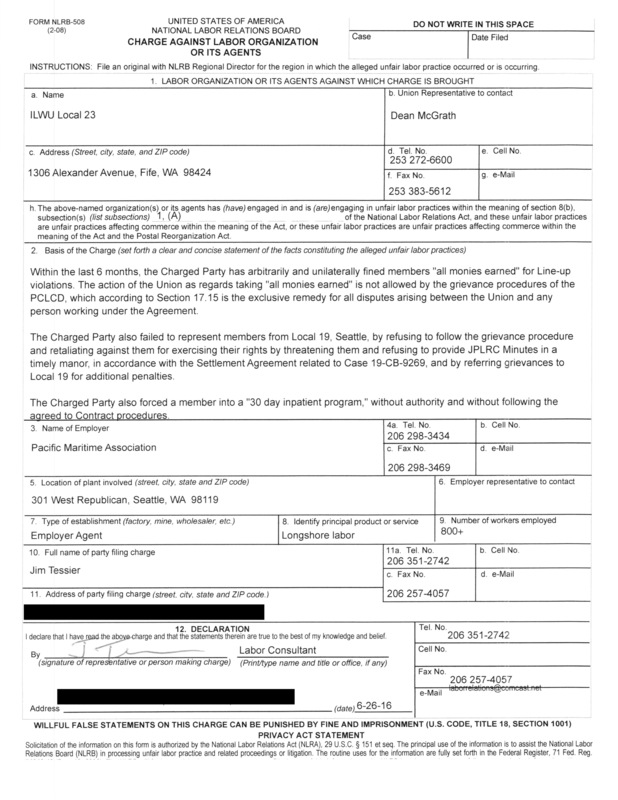 New NLRB Charges filed against Local 23, Tacoma, and Local 19, Seattle, for working together to bully members and steal money. Local 23 is continuing to fine members from other Ports, “all monies earned,” for line-up violations, and in some cases they refer the Complaint to Local 19 for further processing. Dean and his day Business Agent also decided to threaten and intimidate one of the members who requested the JPLRC Minutes where the alleged “violations” are documented. It seems that Dean and his LRC Representatives are NOT telling the PMA members at the JPLRC meetings that they are fining some members “all monies earned.” The only penalty the JPLRC discusses and documents, is the $50 fine. Are you going to write about this in your new Local 23 online newspaper, Deano? 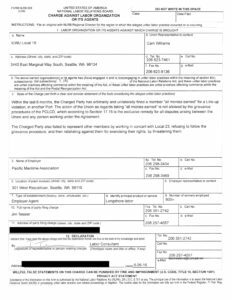 This morning June 28th, one of the Seattle guys went to Local 23 to request minutes. 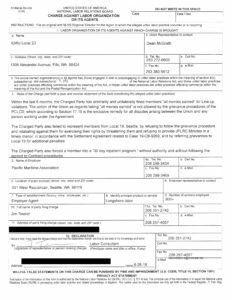 Before the Secretary could hand him the request form, a Local 23 member stepped in front of her and told him they did not have any JPLRC Minutes. He did exactly what he should have done. Walked away. Do you think this is going to help your case Deano? « Dean McGrath, Local 23 President, must be worried about the new NLRB charge below, because Dean was witness tampering at last Thursdays emergency roll-call meeting.